definition: a usually little known contender (such as a racehorse) that makes an unexpectedly good showing. We get it. Marketing your busines has never been so easy yet so hard. There are literally thousands of mediums, platforms, and channels you can use to communicate with people, but with all of that choice comes confusion, inaction, and uncertainty. And given the amount of time you have to spend on your other day to day projects and operations, you don’t have the capacity to become an expert in yet another field just to make your business run. We create and develop marketing campaigns that generate CONSISTENT leads and sales .. pure and simple. By working with you to clearly understand your true end goals, we are able to develop the marketing campaigns, strategy and tactics needed for you to win. You need someone to simply manage it all and generate a positive return on investment. Too many small business out there try to string it all together with a number of vendors; your web guy, your SEO gal, your ads team. You have enough on the go without having to manage and oversee a collection of marketing efforts as well. The end result? Too little leadership, too much confusion, and too few results. We take your true end goals to execute the ideal marketing strategy and review the results for further growth. We provide the complete marketing leadership your business needs and deserves. We free up your time while providing better results and greater accountability for your marketing spends. Sound nice? If you need help managing your marketing campaigns, getting better results, or understanding what is working or what’s not, we can give you peace of mind. To see if we would be a good fit, let’s have a simple call to see where you are at and if we can help you. Click on the button, fill out the form and then we’ll be able to provide you with an overview to move forward at not cost and with no risk. Thomas and the Dark Horse Group, with a high level of expertise and insight, built our new website, which has both enhanced our experience for our membership and also helped us to update and modernize in an ever-changing marketplace. I appreciated that they took our needs and customized the site for us. The process was quick and seamless. They were helpful and readily available throughout the process and beyond. If you are looking for a smart approach to effective and budget friendly web design, I would HIGHLY recommend Thomas and the Dark Horse Group. He was able to meet my campaign’s needs for a donations and volunteer sign up tool while providing a cost-conscious & inviting website. Working with Thomas and Dark Horse has been great! As a busy salon owner and stylist, it’s so nice to work with a tech team who not only manages my website well but helps actually grow our business. They were able to put my vision for the website into reality and I love the result! SImply put we help businesses make money online. Whether it’s finding more customers, creating more sales, or building your brand’s community, we have the experience necessary to help your business plan, execute, and profit from a strategic marketing campaign. How Do I Know if Dark Horse Is Right for Me? If you are trying to manage your marketing campaigns along side the rest of your business, or if your unsure if your current marketing vendor is effective or not, we can help you evaluate existing plans or develop new campaigns. Do what you do best, and we’ll help you grow your business. Our clientele includes a variety of businesses including start-ups, small mom and opo shops, and established medium sized businesses. We consider projects of any nature to keeps things fresh. We custom build projects and campaigns for client needs and that includes consulting only services. Sometimes all you need is a new set of eyes to solve an old problem. If you are interested in working with Dark Horse and automating your marketing success, fill out the discovery call application by clicking on this link. Interested in learning more about our approach? 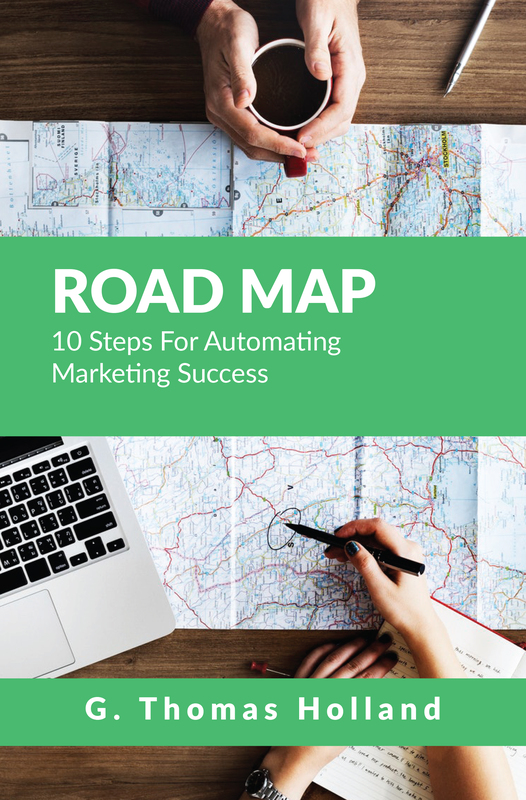 Read a copy of Roadmap: 10 Steps for Automating Marketing Success.